In honor of the announcement that JK Rowling will be writing a new film series taking place within her magical world, I thought I should write about how much Harry Potter changed my life. Except I don’t actually know how it changed my life because I was in 5th grade, nearly 11 years old, when I picked up the first book, and very soon after finished off the 2nd and 3rd books. When you’re that young, something doesn’t change your life so much as it becomes a formative part of your life. The Harry Potter series was that for me. However, there are a few ways that I can point out that it changed things for me. friends at I at the Chinese theater, being the golden trio. 1. Through the characters of Hermione Granger, Ginny Weasley, and Luna Lovegood. 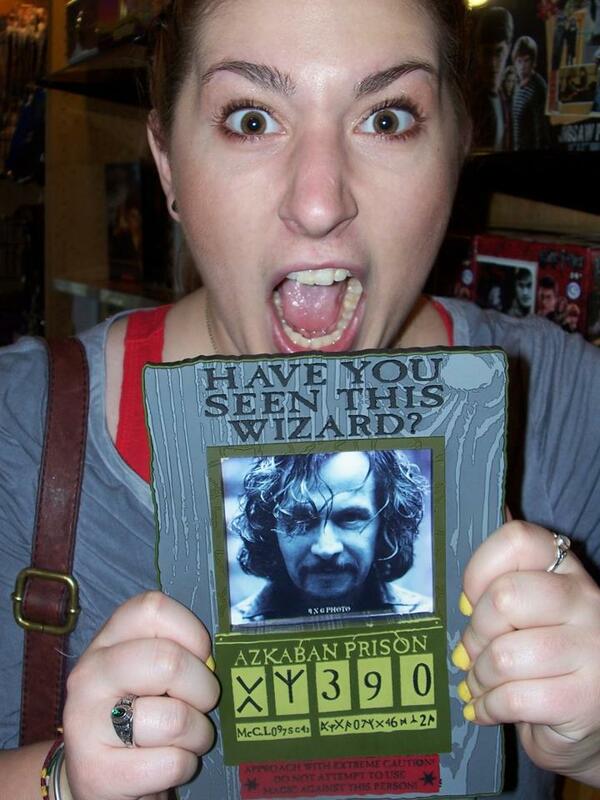 When the books first came out, I was nicknamed Hermione because people thought of me as her. Saw me as her. I corrected other kids, even in front of teachers, I was a smartalec and a know-it-all. I also had brown hair and brown eyes. I was made fun of and had a hard time keeping friends. But once people saw me as Hermione, it changed. A little. Later on, with the development of Ginny and the introduction of Luna, it became clear to me that I possessed qualities of all three, and each quality I had in common with them was one I was able to accept in myself. I wanted to be smart, but I also dreamed of being pretty, like Hermione. I was odd, obscure, and artsy like Luna, and people accepted that part of me when they realized I was actually good at art. It was the part of me that didn’t care what other people thought because I just wanted to do art and be good at it. And there was the sporty, competitive side of me like Ginny, who always felt like she had something to prove because she was just a girl, or just Ron’s little sister, and the guy who she liked pretty much ignored her. She could command a lot of authority, and she was incredibly capable. I think, though, that I always envied her one particular thing: she was indeed beautiful and a lot of guys noticed her. My best friends in high school were the ones who got noticed. I was the one they could count on to never have a date. 2. Through making me love reading. I was not a reader as a child. So when I found books I wanted to read, books that I didn’t want to put down, it changed everything for me. I still haven’t found books that grab hold of me like the Harry Potter books do, but I developed a love for reading and the written word from that moment on. Odd story: when I was 11, reading the books for the first time, I wanted to be like Harry Potter so much that I cleared out a cupboard under a sink, crawled in there with the book and a flashlight, and stayed crammed in there for hours reading, pretending that I was like Harry living in the cupboard under the stairs. As a teenager who struggled with depression, reading was my escape. I got in trouble on numerous occasions from when I was 13 all the way through when I was 17 for reading in class. The best part was that the teachers would call me on to answer the question, and I KNEW THE ANSWER. They had intended to catch me unaware and to make an example of me in front of the entire class, but when I knew the answer and could go into detail about it, as well as telling them exactly what I’d been reading, it left them fuming. My mom fielded a few angry emails and calls from teachers about this. I’m not a huge reader, although this year has been a little different for me, and I’ve read around 25 books since late January. 3. Through giving me a world in which I felt I belonged. what you don’t know is that I’m wearing a shirt I sewed that matches one Hermione wears in DH1. Pictured here with my wizarding dad. The characters were more than characters for me. They were my friends, my enemies, my mentors, my allies, my teachers, my family. Some of the times I have cried the hardest have been in the deaths in these books, because it wasn’t a character dying, it was someone I knew and loved. They were as much a part of my life as any real person, and sometimes more. 4. Causing me to learn unusual skills. I learned to knit because of Harry Potter. I couldn’t afford to buy an official Gryffindor, so I asked my grandma to teach me to knit so I could knit my own. It took a few years before I eventually got around to it, and I think I might knit a new one sometime. But what 14-year-old learns how to knit for fun? Uh, apparently this one. People in my family know to expect at least one person to get a hand-knit something for christmas almost every year. 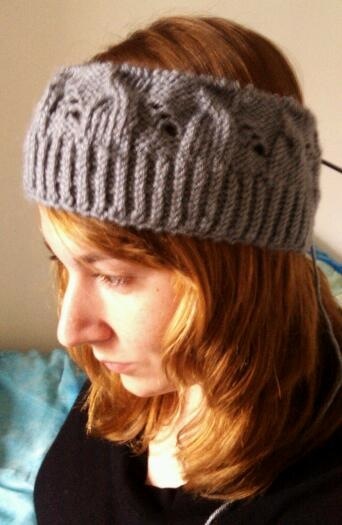 an in-progress shot of a hat Hermione wore in HBP. I love that hat. This kind of makes me more like Hermione again, because she learns to knit to free house elves and actually it’s pretty cute. 5. Through teaching me a thousand things I don’t know if I can ever verbalize or recount. I grew up reading these books. How could I say what I learned from them and how I changed because of them when they were a fundamental part of my formation as a person? But it’s a thousand lessons I learned from these seven books that play into every single day of my life. Harry’s sarcastic responses to things, Hermione’s dichotomy of intellect and emotion fully fitting into one person, how things aren’t always as they seem (pretty much from every book), how one letter can change your life forever, how there is magic in everything. How words are our most inexhaustible source of magic. How love touches us even after death, and how the ones we love never really leave us. I often feel that I am some strange mix of Hermione, Ginny, and Luna wrapped up into one person. I don’t think I would have ever been able to accept myself and all the oddities of me without JK’s characters, and being able to say, yes, they are the way they are, and they are all parts of me, as I am all parts of them. And it’s okay. 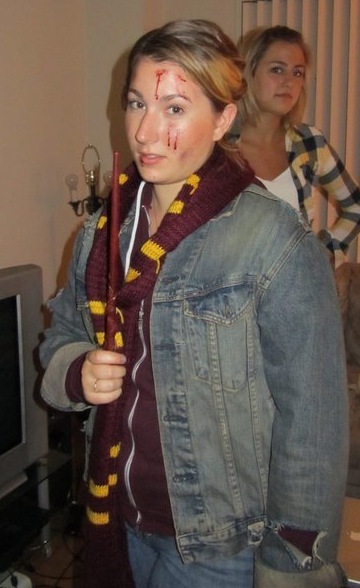 On a side note, I’ve dressed up as Hermione at least 6 times. Twice for midnight showings. I am a proud part of the Harry Potter generation, and Hogwarts will always be home.